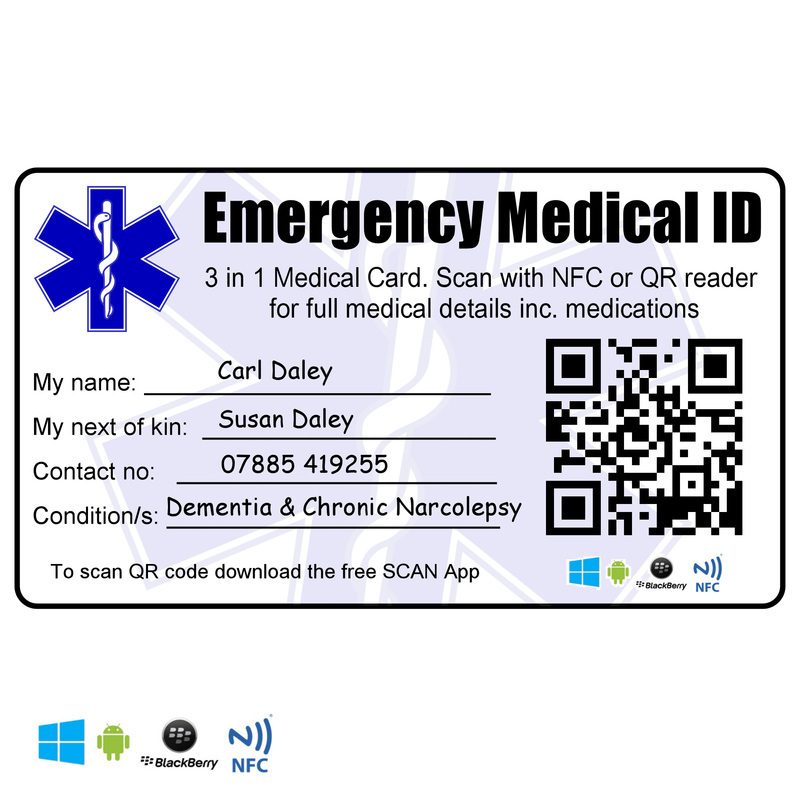 Need to carry emergency medical information? 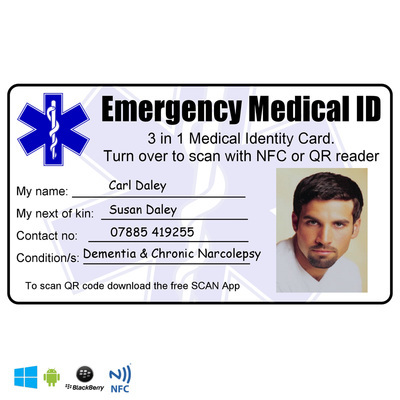 Ahead Solutions has developed this unique 3-in-1 emergency medical ID card to provide complete certainty and peace of mind. 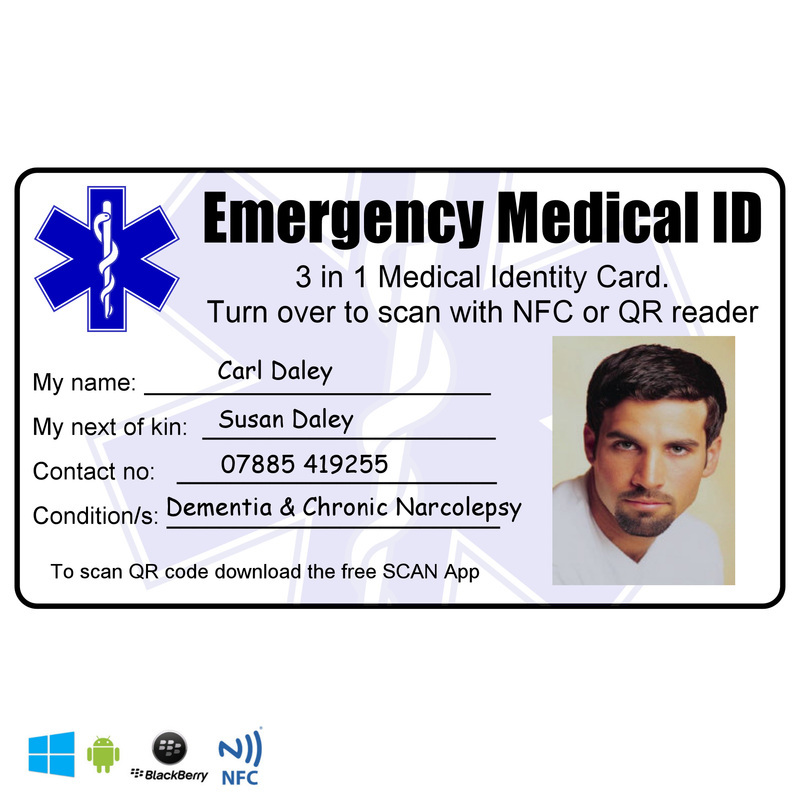 What is NFC and why should I be bothered? 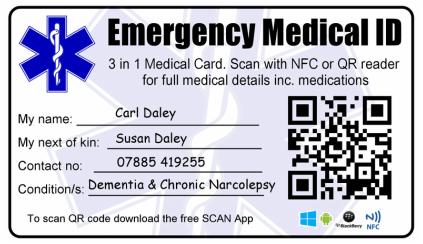 The card's embedded NFC tag can be read by professionals such as emergency services, paramedics, police and medical professionals using a compatible Smartphone to provide an UNLIMITED amount of contact and/or medical / allergy information - this is hosted for you at no extra cost. The on board NFC (Near Field Communications) chip is recognised by compatible NFC devices with an internet connection. Most new Smartphones now have NFC chips on board. Phones using operating systems such as Windows, Android and Blackberry have been tested and produce results fast. 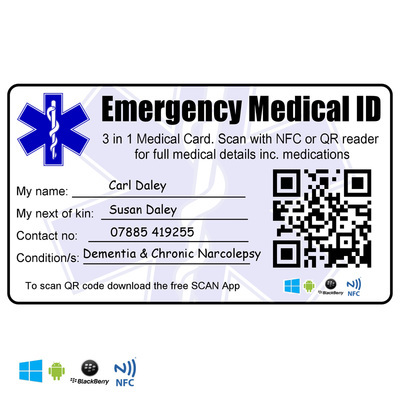 The QR code which is the square code on the front of the card may be read by any Smartphone by simply downloading the free app called SCAN.